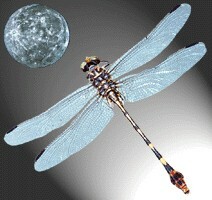 "fly to the moon on gossamer wings"
Welcome to our home page. Have a look around - we hope you enjoy what you see. Rebecca Riehm teaches sociology at Jefferson Community College in Watertown, New York. Gobind Khalsa is a programmer/analyst working at Resort Funding, LLC in Syracuse, New York. In July of 2001 we went on the adventure of a lifetime. We visited the Andes, Amazon and northern coast of Peru. Come join us! In June 2000 we went on vacation to the Tahitian islands of Huahine, Bora Bora and Moorea. It was incredible!!! See for yourself. In the summer of 1999 I went back to my grandparents farm and took lots of pictures (fast connection or lots of patience recommended). Nostalgia time! Speaking of family, I got the genealogy bug and have been researching my family for the last few months. Here's a sample. This page has been visited many times since October 31, 1998. Gossamer Wings is owned and operated by Gobind Khalsa and Rebecca Riehm. These pages and the contents of this site are copyright 1998-2003 Gobind Khalsa, unless otherwise noted. We look forward to your comments mailed to postmaster@gossamer-wings.com.